What Exactly Does an HR Manager Do? It remains true that many entry-level Human Resources Management positions require a bachelor’s degree or less to get your foot in the door. A 2014 study by Gartner’s Software Advice analyzed several hundred HR job listings for people wanting a career change to human resources management. It found that one-third of them strongly preferred candidates with an advanced degree. That truth starts to answer the primary consideration potential students mull over before enrolling in a Master of Human Resources Management program: what can it do for my career? The most successful HR professionals of the 21st century are more than just payroll and benefits coordinators. They know how to get a job in human resources. Technology is continually changing all industries, and a new generation of workers has ushered in a different set of standards that truly tests the human side of HR. A master’s degree in Human Resources Management from a well-regarded, accredited university puts graduates in position to stand out from the rest. Best of all, such a program can be completed online, if desired, and will not interfere with your current position. What does an HR Manager do? HR has come a long way since the National Cash Register Company established the first known human resources department in U.S. history in 1901. A major employee strike had almost doomed the company the year prior. History tells us that management responded to that strike positively by creating a department to handle grievances, safety and other concerns. This model was adopted by other companies of the time and is still the norm more than a century later. The global marketplace, automated recruiting, talent management systems and outsourced payroll have encouraged – almost forced – the HR profession to evolve. Most HR professionals in the 21st century have embraced additional duties as asked; yet, each company seems to offer something slightly different from all others. One way to expand on your skills in this area is to highlight the fun side of HR. That can include coordinating company parties, theme days and charity events, and drives; a nice break from keeping up on legal updates and handling tough personnel issues. 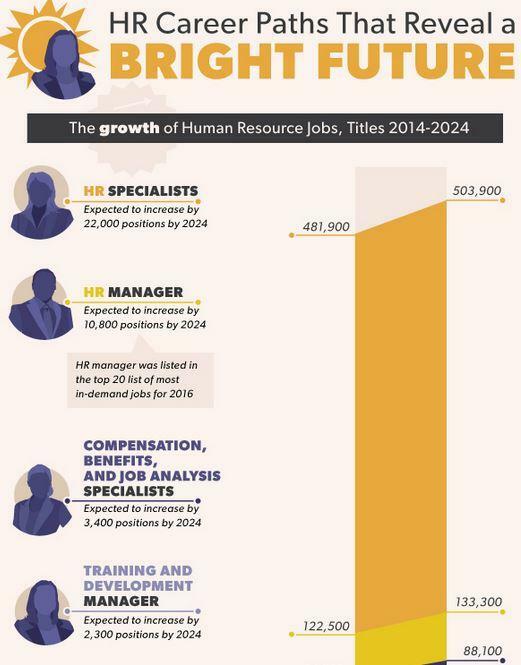 Stepping up as an employee advocate is now one of the more essential roles of HR, partly due to changing demographics. Millennials surpassed Generation X in 2015 to comprise the largest share of the American workforce, according to the Pew Research Center. The Bureau of Labor Statistics says the median tenure of all American workers at one particular job is about 4.6 years. Millennials (those age 18-34) had a median tenure of 2.1 years. Whether it’s a perceived lack of loyalty to a single workplace, an active desire to move around, a “higher expectations” mentality, or another not-quite-accurate label used by analysts, millennials present new challenges for HR. The most important quality is to never stop learning. This quality is especially vital when it comes to hiring and retaining millennials. The knowledge you’ll gain from your MS in Human Resources Management studies provides a foundation that not only encourages continued learning, but also teaches methods to stay up-to-date on the latest news. For instance, studies show that millennials are more entrepreneurial and open to change than Generation X. At the same time, millennials are less likely to be team players. It’s up to HR to provide top talent the tools and accommodations necessary to retain them as employees. The ability to think strategically and act accordingly is an essential characteristic of HR leaders. As touched on earlier, many aspects of human resources have been automated or outsourced, particularly when it comes to talent acquisition and payroll. This enables HR professionals to contribute to their organization’s success in new ways. Marketing, sales and development managers present CEOs and CFOs with ideas to increase revenues, convert leads, or some other goal. Once approved it’s the responsibility of HR to partner with any involved department in fulfilling the plan — that is, if your company embraces this forward-looking arrangement. An analysis by Harvard Business School found that only one-third of HR departments craft HR strategic plans in line with the company’s overall strategy. This unusual phenomenon presents an opportunity for HR managers who have obtained the proper training to execute better. The MS in Human Resources Management program not only has courses covering strategic planning, but also risk management and labor relations. Granted, unions are becoming more of a rarity every year. One-third of American workers were part of unions in the mid-1960s. Today that number is barely 10%, according to researchers. Having knowledge of collective bargaining and contract negotiations opens doors to new positions at larger companies that employ unionized workers. One way or another, looking after employees remains a central part of the human resources role. IT departments typically handle a company’s networks and hardware issues. But, there are times when the company is underperforming or simply failing in areas that can be vastly improved by implementing a new software or other tech solution. This brings us to another important essential characteristic of effective human resource leaders: minding your metrics. The responsibility falls on HR to determine if the cost is worth the potential return. A 2013 study by the Standish Group found that less than 33% of company projects were completed on-time and within the stated budget. Further, 44% of personnel tasked to lead new projects failed to use any sort of commercially available project management software, according to PricewaterhouseCoopers. Doing the job right means HR must provide detailed analysis supporting adoption of any project management system for certain departments. Whether its wasted worker-hours or poor communication between collaborators that causes projects to fail, human resources research must convince company executives to get onboard and embrace operational additions such as this. Of course, there will be some employees who resist change, particularly if the modus operandi was completely different previously. Part of your solution will be a meaningful rewards system that encourages workers to use the new set-up. Year-end bonus structures and pay raises can be tied directly to completion of projects within a given time and budget. HR’s job is to positively correlate rewards and usage of the new system to motivate employees. These balancing skills are obtained and nurtured through your studies in a Human Resources Management master’s program. Shoe retailer Zappos is a well-regarded company, with personality that starts at the top. Zappos CEO Tony Hsieh is often quoted as a person who enjoys highlighting customer service, along with making his employees feel great about what they do. As is the goal of many companies in this age of social media, Zappos has many customers who are not shy about telling others of their experience. Such internet evangelism for products is actively encouraged by Zappos, which itself has a robust and active social media presence across many platforms. The company has a unique new employee training program; at the end of the first week everyone is offered $2,000 to quit. The goal is to keep people who want to be there. Meanwhile, Allstate Insurance’s personality is conveyed to the public through the deep, articulate voice, and professional demeanor of Dennis Haysbert. These companies have two very distinct personalities and it shows in their advertising – or in the case of Zappos, their lack of it. HR plays a crucial role in determining and reinforcing a company’s personality and values, and finding employees that fit a company culture, whether staid or silly. Pre-hire personality assessments were used by 57% of U.S. companies in 2013, up from 26% in 2001, according to the Wall Street Journal. These tests have proven effective in hiring the right people for a company’s culture and personality. A 2006 study published in the Journal of Brand Management identified three dimensions of a corporate personality: heart, mind, and body. Each of those are defined by two key attributes: passionate and compassionate; creative and disciplined; and agile and collaborative, respectively. Nobody has a better pulse on the entire company than HR since they come in contact with every employee and department at some point. They also have a seat at the table along with top-level executives when discussing company direction and initiatives. Once a company develops a cohesive and positive personality, an HR leader encourages everyone to embrace it. Whether its placing a ping-pong table in the break room or holding food drives for the homeless, (most likely both) these activities reflect who the company is and how it wants to be perceived. The value in human resources comes from the willingness to listen to all employees. HR is the neutral conflict manager between employees at all levels. They also play a major role in the day-to-day activities of every employee. An open-door policy is important, as is confidentiality. Employees should have a means to communicate issues (harassment, discrimination, etc.) without it becoming an office distraction. They should also be able to make suggestions for company operations without repercussions. Of course, there is a fine line HR professionals must walk when dealing with certain issues. An employee may want to lodge a complaint against a co-worker, but request confidentiality in the conversation. But, you have the responsibility to address potential workplace issues before they morph into something detrimental to the company. Providing employees several ways to communicate compliments, complaints, and suggestions that encourage and reinforce transparency. Some HR managers use hotlines. Others stick to traditional email and walk-in visits. Regardless of the method, make certain employees feel comfortable coming to HR employees for all work-related matters – and have an easy way of doing so. The value of any master’s degree is partly determined by where it comes from. U.S. News & World Report ranked the University of Scranton in the top 10 for master’s universities in the very competitive North region of the country. The University of Scranton is also regionally accredited and is one of only 28 Jesuit colleges and universities in the United States. As an added bonus, the university’s MS in HR Management is fully outlined by the Society for Human Resource Management (SHRM) curriculum guidelines and templates. The responsibilities and requirements of HR leaders continually evolve. The HR Certification Institute offers five distinct certifications: Professional in Human Resources (PHR), Senior Professional in Human Resources (SPHR), Human Resource Management Professional (HRMP), the Human Resource Business Professional (HRBP) and the Global Professional in Human Resources (GPHR). Two alternative certifications are offered by the Society for Human Resource: SHRM-CP and SHRM-SCP. Some certifications do require graduate work, making them great complements to your master’s degree in HR. Professor Patrick Wright of Cornell University’s School of Industrial and Labor Relations, told Workforce in 2011 that a master’s degree always wins out over an SPHR particularly with large companies when all else is equal between two candidates. Katie Bardaro, vice president of Data Analytics at Payscale, told Forbes in 2012 that a master’s degree provides increased knowledge in ever-evolving fields like HR and sets candidates apart from other applicants. What’s Best for Getting Hired? The curriculum for The University of Scranton’s MHR program covers all the basics (OSHA regulations, labor relations, etc.) and all of the policy-making and accountability aspects that come with an SPHR. Your master’s studies take things a step further to address 21st century workplace issues as laws and regulations change. For example, the Equal Employment Opportunity Commission ruled in the 2012 case of Macy v. Bureau of Alcohol, Tobacco, Firearms, and Explosives that Title VII of the 1964 Civil Right Act prohibits workplace discrimination against transgendered persons. Another tough issue is handling the intricacies of concealed carry laws. About 40 states have such laws but they are not all the same. “Can I come to work armed?” is a question you could encounter. The answer is initially yes, though in some states businesses have different allowed restrictions to ban them. But human resources, with the help of the legal department, needs to know how to write the correct policies. Each state’s law and restrictions are different in the area of concealed carry. If a company does business in several states, this policy has to be carefully researched across the board. These subjects, and others will arise during your Human Resources Management studies and employment; something you cannot expect from a certification. A bachelor’s degree might get your foot in the door for smaller companies. But, large corporations that pay higher salaries expect you to bring both experience and credentials to the table. The decision ultimately lies with you as to career and earnings goals. The national average salary for human resources personnel is $66,032, according to Glassdoor. Earnings positively correlate with educational level, with MS recipients earning the most. HR professionals at Ford Motor Company and The Clorox Company reported annual salaries $125,000 and up. 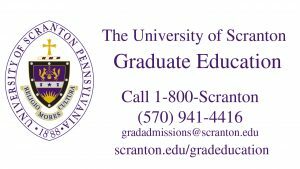 Click here for more information on Human Resources programs offered at The University of Scranton. There are five essential qualities HR leaders must embrace. The first, and perhaps most important, is to never stop learning. This quality is especially vital when it comes to hiring and retaining millennials. The knowledge you’ll gain from your MS in Human Resources Management studies provides a foundation that not only encourages continued learning, but also teaches methods to stay up-to-date on the latest news. The ability to think strategically and act accordingly is another essential characteristic of HR leaders. This falls into the Critical Thinking skills category. As touched on earlier, many aspects of human resources have been automated or outsourced, particularly when it comes to talent acquisition and payroll. This enables HR professionals to contribute to their organization’s success in new ways. This brings us to another essential characteristic of effective human resource leaders: minding your metrics. The responsibility falls on HR to determine if the cost is worth the potential return.